Joel Brown is a principal in the firm’s Commercial Finance Group. His practice focuses on the representation of banks and non-bank finance companies engaged principally in middle market lending operations. 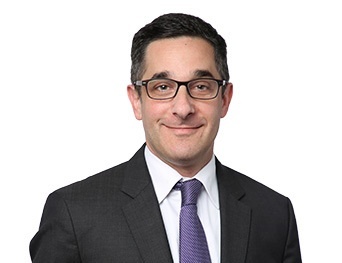 He has extensive experience in structuring, documenting and negotiating both cash-flow and asset-based financing, as well as broad exposure to senior, mezzanine and hybrid lending products. Mr. Brown handles mergers and acquisition financings, recapitalization financings, refinancings, and other complex financial arrangements requiring institutional debt. He has been engaged to "trouble spot" deal structures and documentation, particularly in co-lend arrangements, as well as to lead multi-bank/multi-borrower facilities. Mr. Brown has experience handling inter-creditor and subordination arrangements and agreements, loan workouts, loan restructurings, and ongoing file maintenance, including routine amendments, waivers and consents. Additionally, he represents lenders in international, multi-jurisdictional and multi-currency facilities. Mr. Brown has both written and lectured on a wide variety of finance-related legal topics, including Revised Article 9 of the Uniform Commercial Code. In 2014, he authored a section entitled "Security Interests and Article 9 of the Uniform Commercial Code" which was included in the Banking and Finance module of the Lexis Practice Advisor®. He wrote “Perfection and Priority of Security Interests In Goods Held By Third-Party Bailees,” which was published in the February 2002 edition of The Banking Law Journal. He co-authored, with principal attorney Randall L. Klein, an article that appeared in the July/August 2002 issue of The Secured Lender, titled “Capital Call Agreements As Credit Enhancements." He is also the co-author of "Intercreditor Negotiations and the Term B Lender: A Framework For Analysis," that was published in the July/August 2004 issue of The Secured Lender, and the author of “Deconstructing DACA: An Analysis of the Model Deposit Account Control Agreement,” that was published in the September/October 2006 issue of the Commercial Lending Review. Mr. Brown was named by Chambers USA 2014 as a leading lawyer in the United States in Banking & Finance. He has also been recognized by Best Lawyers and ranked by his peers as AV Preeminent©, the highest rating from Martindale-Hubbell. Mr. Brown received his law degree in 1992 from New York University and a B.A. in government, Phi Beta Kappa, in 1989 from Wesleyan University. He is admitted to practice in Illinois and the United States District Court, Northern District of Illinois.